This month’s quiz is on the famous Archeological and Architectural sites of Belur and Halebidu, located a few hours drive from Bengaluru. 1. Which prominent empire/dynasty constructed the temples at Belur and Halebidu? 2. What is the name of the famous temple in the town of Belur? 3. Which is the temple that Halebidu is most well known for? 4. 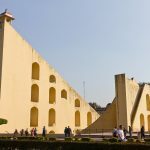 What is it about these temples that attracts thousands of visitors and tourists every year? 5. 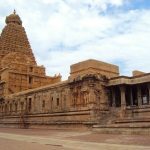 What unique shape of the buildings is a feature in many temples built by the Hoysalas? 6. Name the deity in Belur Chennakeshava temple. 7. Name the presiding deity in the Halebidu Hoysaleshwara temple. 8. 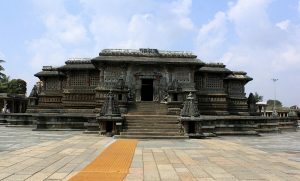 In which Indian state are Belur and Halebidu located? 9. Belur is located on the banks of ________________. 10. 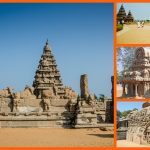 What was the original name of Belur? 11. Name the king who built the Belur and Halebidu temples. 12. About how many years did it take for the Belur temple to be constructed? 13. 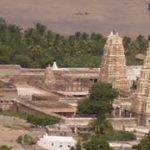 How is Lord Shiva worshiped in the Hoysaleswara temple? 14. Halebidu was once called Dwarasamudra. What does this term refer to? 16. 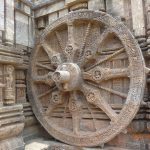 What does ‘Halebidu’ refer to?